A new Italian has joined the neighborhood! Just opening its doors to what is fast becoming a melting pot of residents, work force, students, and families, Ristorante Bigoli is now offering a menu-full of sumptuous Italian meals to diners who may as well begin calling this their new hangout. Ristorante Bigoli takes its name and inspiration from bigoli, a traditional pasta from the Veneto region Of North East Italy, named after the extrusion press made to create it. The press called a bigolaro, dates back as far as the mid-1400s. Today, Bigoli has found a life of its own, moving out of the old country into the new world. Ristorante Bigoli now is a name that has come to mean Italian flavors, hearty meals, effusive gusto, and the feeling of home with its familiar service and great food offerings. 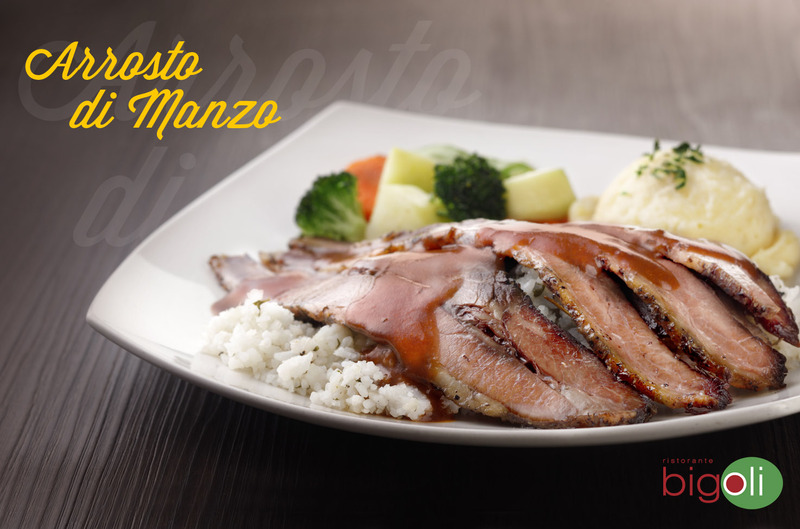 Having opened several popular branches in Trinoma Mall in 2008, Eastwood and SM Fairview Annex in 2012, the restaurant has developed quite a cult following of foodies and food lovers looking not just for good food, good service, but also for value for their money, in a place that is familiar, welcoming, and accessible. Upon stepping into Ristorante Bigoli, diners can expect to feel the welcoming warmth – from the colors that surround them, to the décor and seating arrangements. There is enough space to accommodate the individual hoping to get a quick but filling meal, or even stay in for time alone or a spot to develop creative ideas; to couples on a date or even families or groups of friends celebrating anything from some time together or a more special occasion. Ristorante Bigoli aims to create a delightful dining memories worth sharing, An experience that embraces the Italian Dining experience. Bigoli’s extensive range of budget-friendly, filling, delicious Italian fare has been the trademark of the place, and has been the reason buzz about the restaurant had started and helped it grow. Once inside, diners stay captivated with the aroma coming from the kitchen, and appetites are quite enhanced by the items listed on the extensive menu. Among the choices are cult favorites like the Salads, Stromboli, Pizza and Pasta Combos, Panini, Sagra della Bistecca Steaks the Bigoli Supremo, the famous Italian Chicken, the complimentary garlic breadsticks that come with any order of Pasta dishes, the desserts, and the refillable drinks. Italian Coffee and the Hip Gelato experience. One edge the new place has over other similar restaurants is rich and authentic Italian coffee and the delightful choices of unique gelato combinations on a stick, right in the restaurant. “We’ve put together the favorites – classics meals given a more modern twist – with perfect meal enders or midday cravings that diners would typically need to go to another venue for, all together in one place,”. Nothing puts a great end to a hearty meal quite like the java experience from Caffe Izzo, a dependable name in authentic Neapolitan Espresso, and the real and 100% natural, gluten-free goodness of gelato in a range of options from StickHouse. 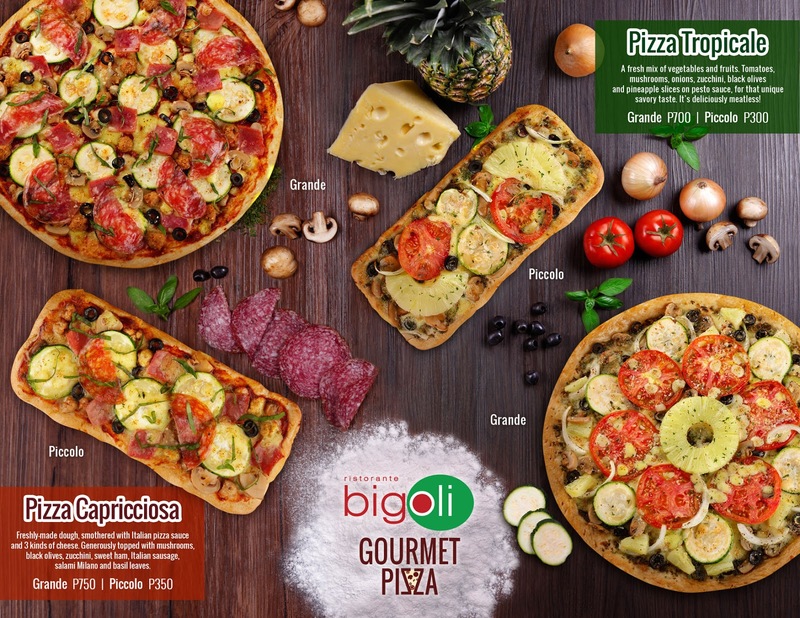 About Ristorante Bigoli: A member of the New Ventures Group, Ristorante Bigoli opened first at 4L Trinoma Mall, then at Eastwood and SM Fairview. The same group is the exclusive local distributor of StickHouse and one of the privileged carriers of Caffe Izzo.